Compact SUVs are plentiful in the current automotive market. Two popular vehicles in this segment include the 2019 Mazda CX-3 and the 2019 Kia Sportage. But which SUV is the better option for shoppers looking for a new vehicle? Continue reading to learn all about the similarities and differences between the 2019 Mazda CX-3 vs the 2019 Kia Sportage.  Both the 2019 Mazda CX-3 and the 2019 Kia Sportage are offered in three trim levels: Sport, Touring and Grand Touring for the 2019 CX-3 and LX, EX and SX Turbo for the 2019 Sportage. The 2019 Mazda CX-3 receives 31 miles per gallon in combined city/highway conditions, while the 2019 Sportage receives only 22 miles per gallon under the same circumstances. 7 in. Infotainment Screen Size 5 in. The technology features found in the 2019 Mazda CX-3 are more impressive than the 2019 Kia Sportage’s. 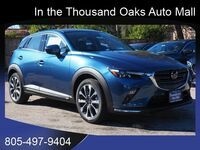 The 2019 Mazda CX-3 and the 2019 Kia Sportage both come standard with an infotainment system, but the 2019 CX-3’s touchscreen display is two inches larger than the 2019 Sportage’s. The 2019 CX-3 comes standard with two USB ports, while the 2019 Sportage only comes standard with one. 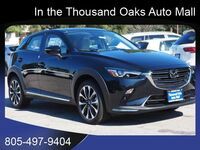 The 2019 Mazda CX-3 is also one of the safety SUVs currently available for drivers to purchase. Standard safety features include dual front side-mounted airbags, daytime running lights, a pre-collision safety system and emergency braking assistance. Available 2019 Mazda CX-3 comfort and convenience features include: A 12-volt power outlet, a tilt and telescopic steering column, rear heater ducts, front and rear overhead lights, cruise control with steering wheel-mounted controls, push button start, electronic parking brakes, power-sliding glass moonroof, automatic climate control with pollen filter and dual covered visor vanity mirrors.